StoryMaps describe how river basins function, explain how humans and rivers are interconnected and demonstrate how the decisions we make everyday affect water quality. Our River Basin App is an interactive map with the location and size of the river basin, as well as links to information sheets about each basin. Use the search bar to find what river basin you are located in! Our River Basin StoryMap describes how river basins function, explains how humans and rivers are interconnected, and demonstrates how the decisions we make everyday affect water quality. 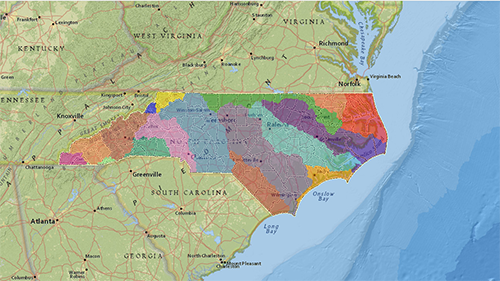 We have 17 StoryMaps available for each river basin in North Carolina. The ncwetlands.org website has an interactive map to help you locate wetlands to visit. The map provides links to photos and 360 images. It also lists location, instructions on how/where to find the wetlands, wetland type, some available activities, and accessibility information. 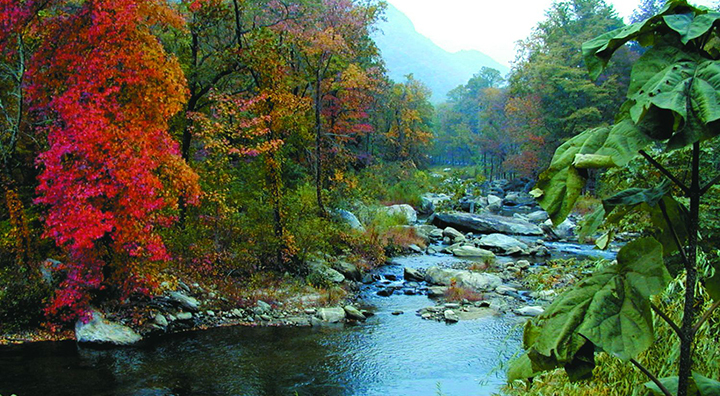 The ncwetlands.org website also features free downloadable materials including factsheets, activities, lesson plans, and posters that can be used for displays or in the classroom. You can find general wetland information, raw data collected from previous research projects and summaries of past reports, information on wetland regulations, and ways you can get involved. Start your wetlands exploration before you even step out the door. Our Discover Your Ecological Address App is a teaching tool for learning about North Carolina's ecological components (like soil and air). The characteristics of each component help determine the effects your actions have on your environment and help increase your awareness of your relationship with the natural world. Check out our ecological address app information sheet to learn how to best use this app. To learn more about your ecological address, visit our Discover Your Ecological Address page. Our Environmental Education Resources App helps you find environmental education resources across the state and locate areas to explore around your home, school, or work. The app has information for schools, managed lands, libraries, environmental education centers, and more. Check out our environmental education resources app information sheet to learn how to best use this app. 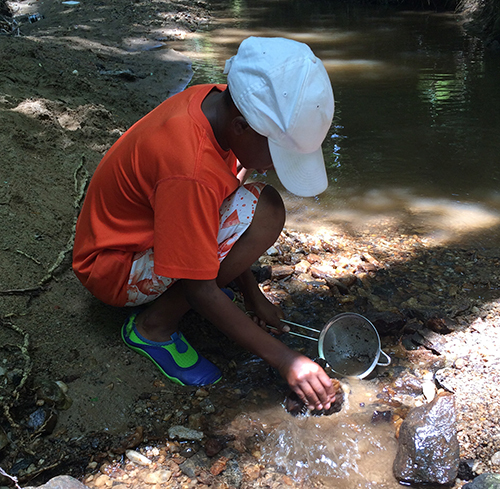 To learn more about environmental education resources near you, browse our site! North Carolina's Candid Critters is a citizen-scientist run camera trap survey of North Carolina. 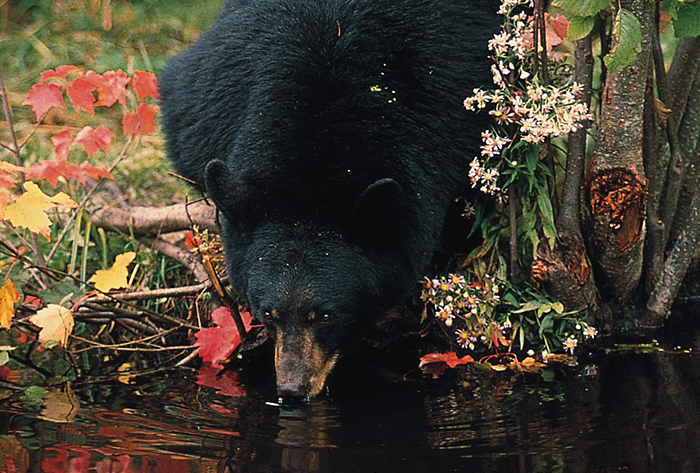 The interactive web map shows the daily detection rate of bear, deer, and coyote. eMammal is an international data management system and archive for camera trap research projects. Use the web maps to analyze animal acitivty and diversity around the globe. Use Mosquito Byte! on your mobile device to record a mosquito bite in your exact time and space by simply pressing a button. The application is updated every hour for real-time data. FrogWatch USA is a field-based program where you use your ears to distinguish among the calls of frogs and toads at wetland sites. The starter maps will help you find out where frogs have been located across the United States.